Add-on Item! 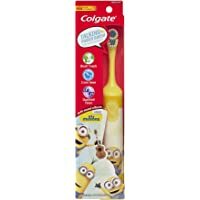 Get Colgate Kids Interactive Talking Toothbrush, Minions (Colors Vary) from Amazon.com. 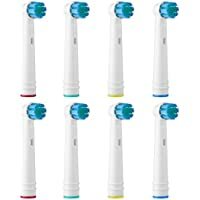 Get Gaisten 8-Pack Kids Sonicare Replacement Toothbrush Heads from Amazon.com (via GAISTEN Official). Discount : $11.89 via coupon "YZQTZ6NM"
Get Liberex Sonic Electric Toothbrush with Inductive Wireless Charging Base Holder from Amazon.com (via Liberex US). Discount : $8.10 via coupon "D62CU9WJ"
Amazon Lightning Deal! 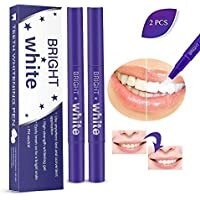 Get 2 Piece O-CONN Teeth Whitening Pen from Amazon.com (via Fifar). 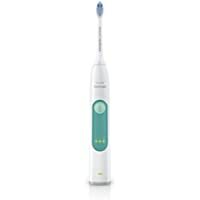 Get Philips Sonicare 3 Series Gum Health Recharegeable Electric Toothbrush (Turquoise Green) from Amazon.com. 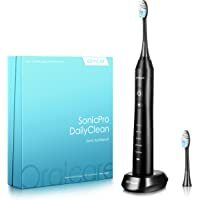 Get 4-Pack Sonioral Toothbrush Replacement Heads For Philips Sonicare from Amazon.com (via Ken Joes). 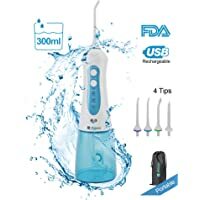 Discount : $7.49 via coupon "50QQG6RV"
Get Mornwell D52 USB Rechargeable Water Flosser from Amazon.com (via MornwellDirect). 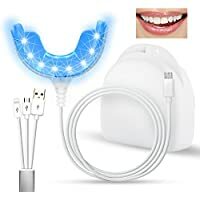 Discount : $19.79 via coupon "MM999777"
Get MARNUR Teeth Whitener with Teeth Whitening Led Accelerator Light Mouth Tray and 10ml Whitening Gel Syringe for 15 Treatments from Amazon.com (via Fei Yan-US). 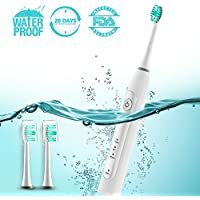 : $13.20 via coupon "ADF7W75Q"
Get Hobeca 5 Modes Sonic Electric Toothbrush with Replaceable Brush Head from Amazon.com (via hobeca). Discount : $14.95 via coupon "NVHN6NMQ"
Add-on Item! 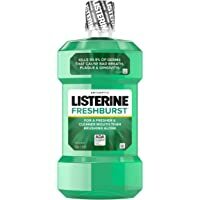 Get Listerine Freshburst Antiseptic Mouthwash (500 ml) from Amazon.com. 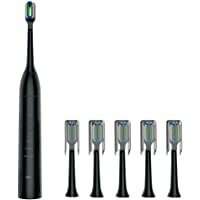 Get Bahfir Rechargeable Battery Sonic Toothbrush (Black) from Amazon.com (via La-Meric). 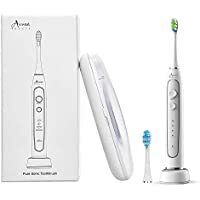 Discount : $13.00 via coupon "50WMH3IH"
Get Aima Beauty Electric Rechargeable Sonic Toothbrush for Kids and Adults from Amazon.com (via Aima Beauty). 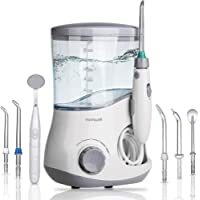 : $13.20 via coupon "MREA2AM4"
Get Panasonic EW1611W Oral Irrigator Water Flosser with Ultrasonic Waterjet Technology from Amazon.com. 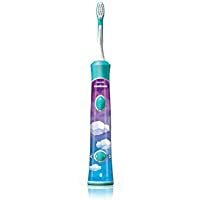 Get Philips Sonicare Bluetooth Connected Rechargeable Electric Kids Toothbrush from Amazon.com. 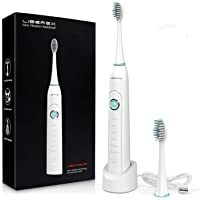 Get Oral-B 7000 SmartSeries Rechargeable Power Electric Toothbrush with Bluetooth Technology (Black) from Amazon.com. 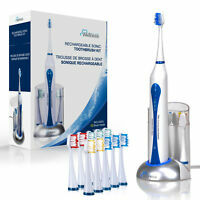 Get Teknic Cordless Dental Water Flosser with 300ml Water Tank from Amazon.com (via SourceUS). 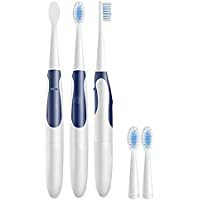 Discount : $19.35 via coupon "F7LE65Z8"
Get IEnkidu Sonic Electric Toothbrush with 2 Extra Replacement Brush Heads from Amazon.com (via IEnkidu). 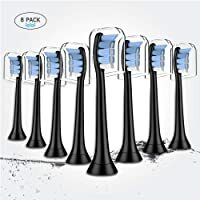 Discount : $19.96 via coupon "DDYBBLSO"
Get Mornwell D51 Professional Water Flosser With 6 Nozzles from Amazon.com (via MornwellDirect). Discount : 60% via coupon "MM119280"
Get 18-Pack Colgate Premier Extra Clean Toothbrushes from Tanga. 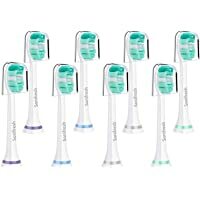 Get 8-Pack Delamu Sonicare Replacement Toothbrush Heads from Amazon.com (via Delamu Official). 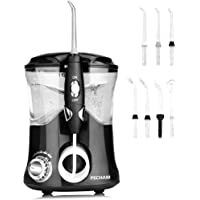 Discount : $6.00 via coupon "4O86UICN"
Discount : $9.25 via coupon "78PM756T"
Get PECHAM Professional Water Dental Flosser for Home & Travel from Amazon.com (via PECHAM US). 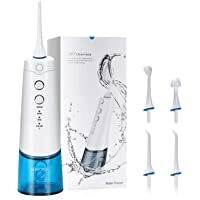 Discount : $16.00 via coupon "ZBC2T2I6"
Get Openuye Cordless Water Dental Flosser with 3-Mode USB Rechargeable from Amazon.com (via openuye). 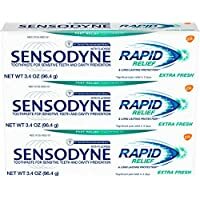 : $12.00 via coupon "YE65ITFH"
Get 3-Pack Sensodyne Rapid Relief Sensitivity Toothpaste, Extra Fresh, 3.4 ounce from Amazon.com. Super Hot! 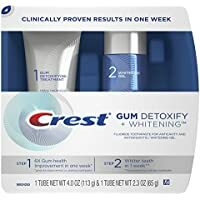 Get 4-Pack Colgate Optic White Sparkling Mint Whitening Toothpaste (3.5 Oz) (add 2 units to cart) from Dollar General. Super Hot! 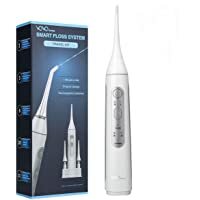 Get VOVOSHINE Cordless Water Flosser for Braces and Teeth Whitening from Amazon.com (via ShangTong Shopping). 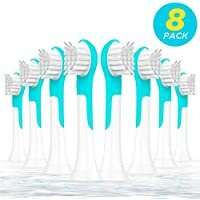 Discount : $27.99 via coupon "5KMZ5J8C"
Get 8-Pack 1958LLC Standard Toothbrushes Replacement Heads for Philips Sonicare e-Series HX-Series from Amazon.com (via 1958Direct). Discount : $8.00 via coupon "CNCRJT62"
Deal of the Day! 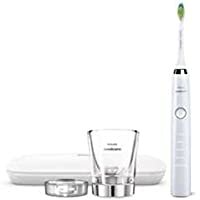 Today only, get Philips Sonicare Diamond Clean Classic Rechargeable Electric Toothbrush with Premium Travel Case from Amazon.com. 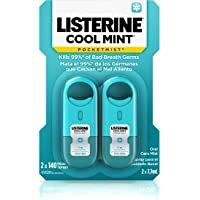 Get 2-Count Listerine Pocketmist Cool Mint from Amazon.com. 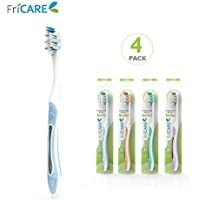 Discount : $14.03 via coupon "54MOTUWN"
Get 4-Pack FriCARE Full Head Adult Size Manual Toothbrush with Teeth Whitening Soft Bristles (Assorted Colors) from Amazon.com (via FriCARE Official). 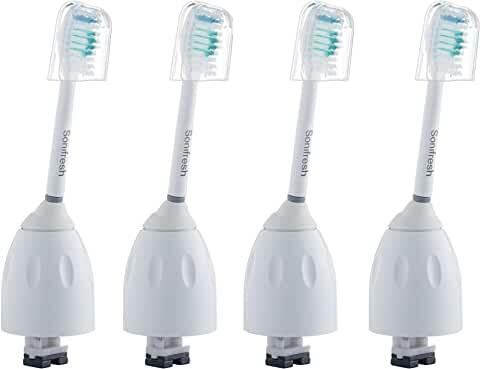 Discount : $6.49 via coupon "65UNM437"
Get 4-Pack Sonifresh HX7001 Toothbrush Replacement Heads for Philips Sonicare E-Series from Amazon.com (via Sonifresh). 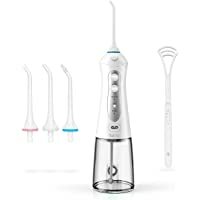 Discount : $8.16 via coupon "BS4Q535K"
Get Aroccom Electric Toothbrush Replacement Heads Compatible With Braun Oral-B Pro from Amazon.com (via BOXNOVO). 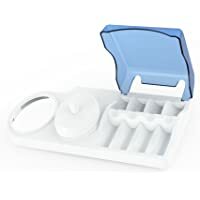 Discount : $4.77 via coupon "H39KZR43"
Get 8-Pack Maginovo Electric Toothbrush Replacement Head for Braun Oral-B from Amazon.com (via Global-Vision). 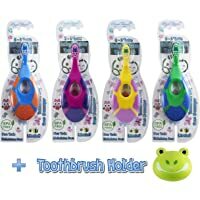 Discount : $6.50 via coupon "GZQ3JY4N"
Get Royal Angels 5 in 1 Baby Toddler Toothbrush & Holder (Multi Color) from Amazon.com (via Royal Angels Baby). 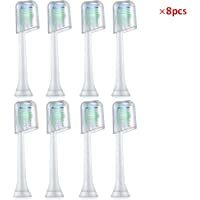 Discount : $6.00 via coupon "QQ6ZG935"
Get 8-Pieces Replacement Toothbrush Heads For Philips Sonicare Plaque Control from Amazon.com (via Poleet). 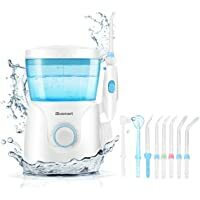 Discount : $6.44 via coupon "SWA299WC"
Today only, get Belmint Professional Cordless Water Flosser Oral Irrigator from Woot.com. 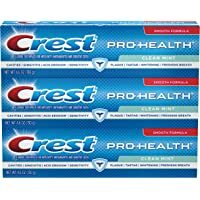 Get 3-Pack Crest Pro-Health Clean Mint Toothpaste (4.6 oz) from Amazon.com. 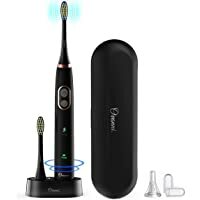 Get Ovonni Sonic Rechargeable Electric Toothbrush with 2 Replacement Heads and IPX7 Waterproof Toothbrush with 5 Optional Modes and Travel Case (Black 2) from Amazon.com (via Ovonni). 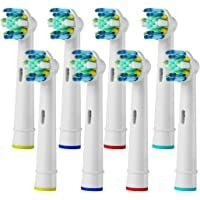 Discount : $14.50 via coupon "ODIEMNFS"
Get Wellness High Powered Sonic Electric Rechargeable Toothbrush with 10 Brush Heads from Amazon.com (via Circuit City). 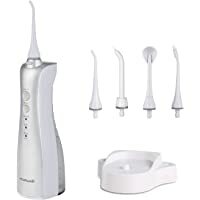 Get Aoieord Cordless Oral Water Flosser w/ 3 Modes & 4 Replaceable Jet Tips (White) from Amazon.com (via AOIEORD Direct). Discount : $18.50 via coupon "ZR38QWQN"
Super Hot! Lowest Ever! 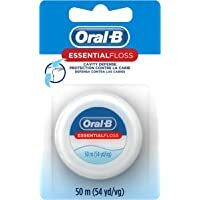 Get 24-Packs 50M Oral-B EssentialFloss Cavity Defense Dental Floss from Amazon.com (via Pharmapacks). 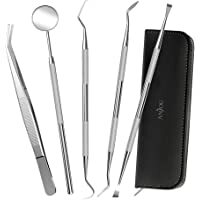 Get Anjou 5-in-1 Dental Hygiene Oral Care Set with Mouth Mirror from Amazon.com (via Anjou Naturals). 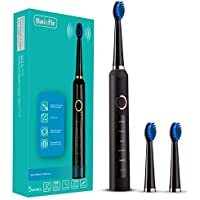 Discount : $2.00 via coupon "BAL5VJ46"
Get Gevilan Sonic Pro Rechargeable Electric Toothbrush (Black) from Amazon.com (via GEVILAN). 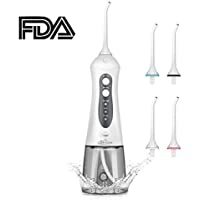 Discount : $25.00 via coupon "LLHOQUHE"
Get Mornwell Rechargeable Cordless Water Flosser/Oral Irrigator (Space Silver) from Amazon.com (via MornwellDirect). 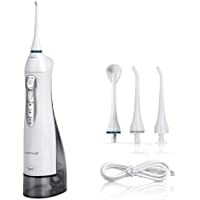 Discount : $12.13 via coupon "QABR93LP"
Get Philips Sonicare Essence Rechargeable Electric Toothbrush (HX5611/01) (White) from Amazon.com. 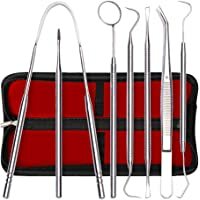 Get Tenozek 7-Pieces Stainless Steel Dental Hygiene Kit from Amazon.com (via Tenozek). Discount : $6.80 via coupon "50IQOEV4"
Discount : $18.00 via coupon "N82U3JB6"
Super Hot! 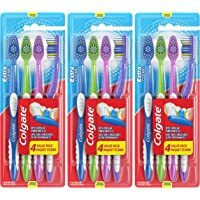 Get 3-Pack of 4 Count Colgate Extra Clean Full Head Toothbrush (Medium) from Amazon.com. 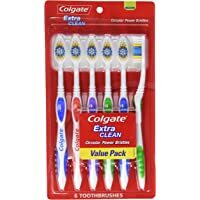 Get 6-Count Colgate Extra Clean Full Head Medium Toothbrush from Amazon.com. 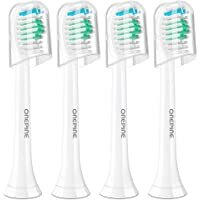 Get 4-Pack Onepine Replacement Toothbrush Heads Compatible for Philips Sonicare from Amazon.com (via Onepine). 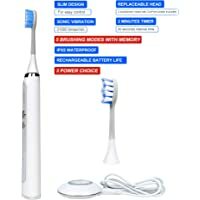 Discount : $7.03 via coupon "GA8C86JX"
Get Saiveina Wireless Inductive Charging Sonic Toothbrush with Smart Timer, 4 Optional Modes Whitening Travel Toothbrush with 5 Replacement Brush Heads from Amazon.com (via SAIVEINA Direct). 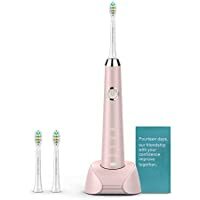 Discount : $13.00 via coupon "504YQXMQ"
Get HANASCO Electric Toothbrush With Holder and 2 Replacement Heads (Pink) from Amazon.com (via HANASCO). : $14.80 via coupon "ELETB4FF"
Get Herwiss Teeth Whitening Accelerator Light 3 Adapters for iPhone, Android & USB from Amazon.com (via Herwiss Direct). 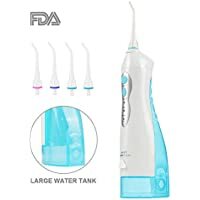 Discount : $9.59 via coupon "KCU7CNJN"
Get NPET 220ml Portable and Rechargeable IPX7 Waterproof Cordless Water Flosser with 4 Jet Tips for Home & Travel Use from Amazon.com (via Thoth E-commerce Co.,Ltd). 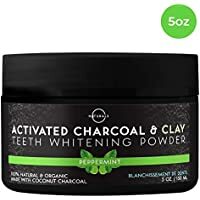 Discount : $19.50 via coupon "2TCYEJAT"
Get O Naturals Teeth Whitening Activated Charcoal Powder 5 oz from Amazon.com (via One Naturals). 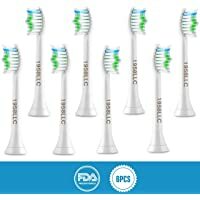 Discount : $9.79 via coupon "70E3SY55"
Get 1958LLC Standard Toothbrushes Replacement Heads for Philips Sonicare e-Series HX-Series from Amazon.com (via 1958Direct). Discount : $7.00 via coupon "83DRWRKU"
Super Hot! Lowest Ever! 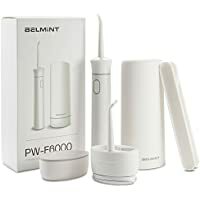 Get Belmint Professional Cordless Water Flosser Oral Irrigator from Amazon.com (via Woot). 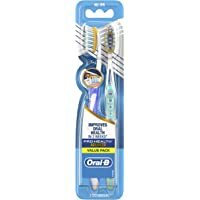 Get 20-Pack Replacement Toothbrush Brush Heads Sets for Oral-B from Groupon.com. Super Hot! 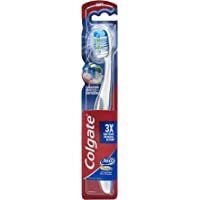 Get Colgate 360 Total Advanced Full Head Toothbrush (Soft) from Amazon.com. 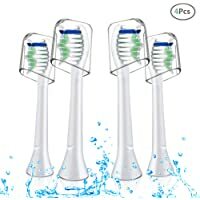 Get O Style Waterproof Rechargeable Sonic Electric Toothbrush with 3 Replacement Heads from Amazon.com (via O style). 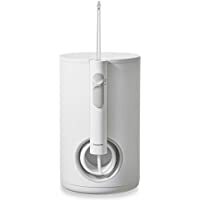 Discount : $15.00 via coupon "KBT957TA"
Get 2 Pack Philips Sonicare ProtectiveClean 6100 Gum Care Electric Rechargeable Toothbrush (White) from Sams Club. Super Hot! 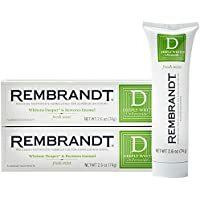 Get 2-Pack Rembrandt Deeply White + Peroxide Whitening Toothpaste 2.6 oz (Fresh Mint Flavor) from Amazon.com. 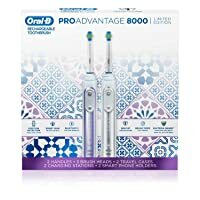 Get 2-Pack Oral-B Pro Advantage 8000 Rechargeable Toothbrush from Sams Club. Lowest Ever! Get AuraGlow Teeth Whitening Accelerator Light 5X More Powerful Blue LED from Amazon.com (via AuraGlow). Discount : $3.15 via coupon "OP9JCFLQ"
Lowest Ever! 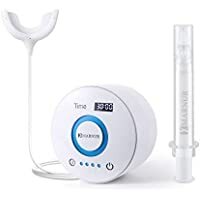 Get Blusmart Countertop Water Flosser with 10 Pressure Settings from Amazon.com (via RCUS). 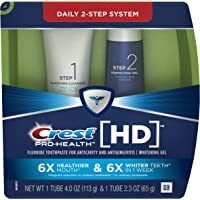 : $16.50 via coupon "BVXTQDYI"
Get Crest Gum Detoxify Plus Whitening 2 Step Toothpaste from Amazon.com. Super Hot! 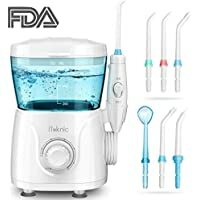 Get iTeknic 600ml Water Flosser/Oral Irrigator with 10 Adjustable Water Pressure from Amazon.com (via SourceUS). 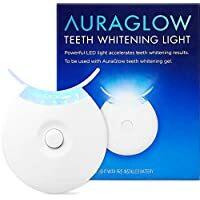 Get AuraGlow Teeth Whitening Accelerator Light 5X More Powerful Blue LED from Amazon.com (via AuraGlow).